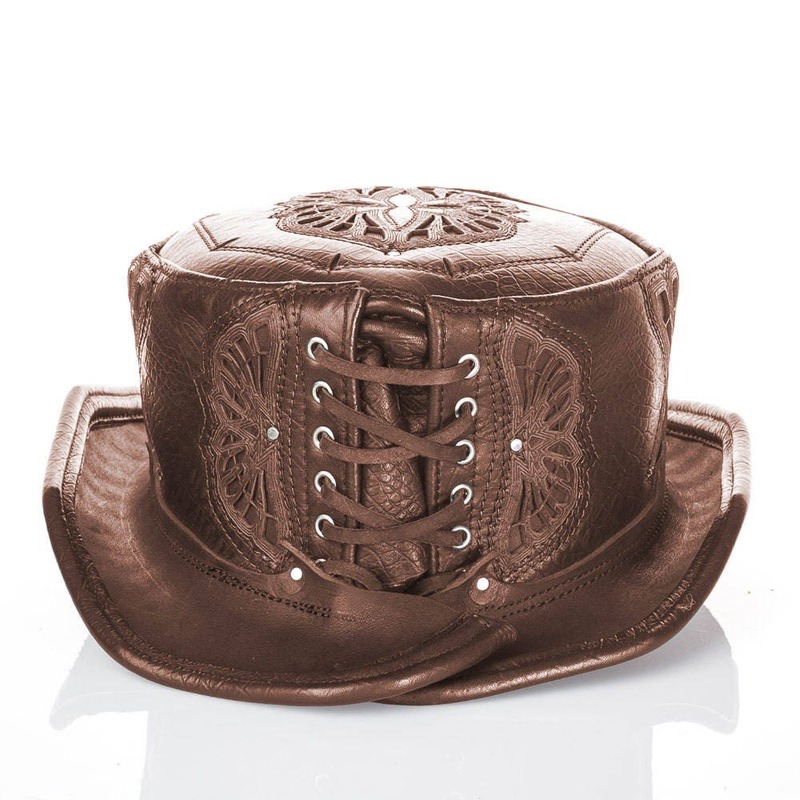 Leather Top Hat Made To Order just for you! Inspired by our original Top Hat design, The Firefly, our Daunting & Dapper short style Top Hat is Unisex. 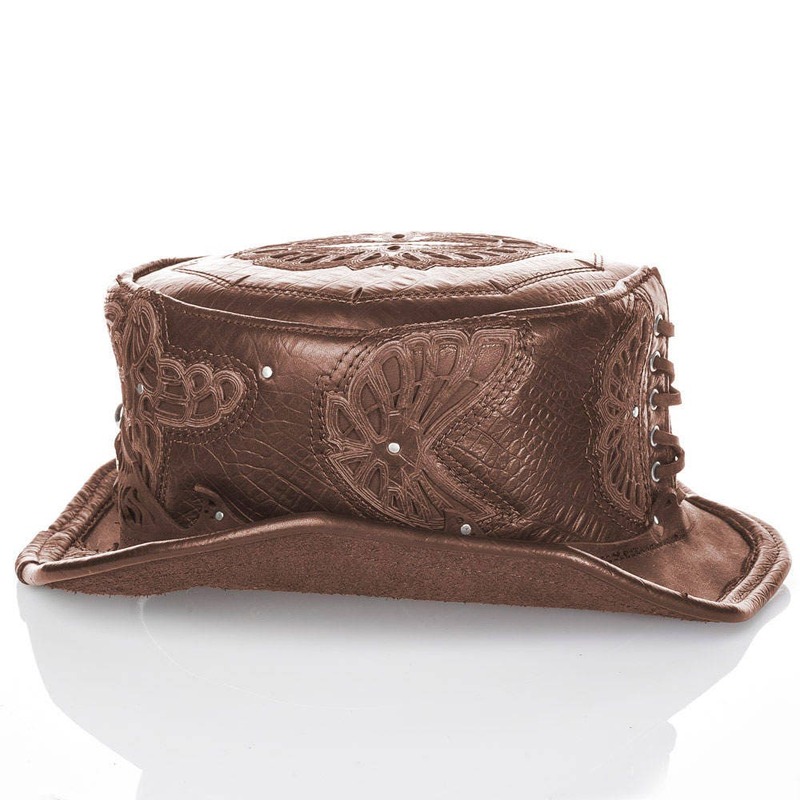 Strong independent women tend to look especially daunting, while witty charming men tend to look quite dapper in this style hat! 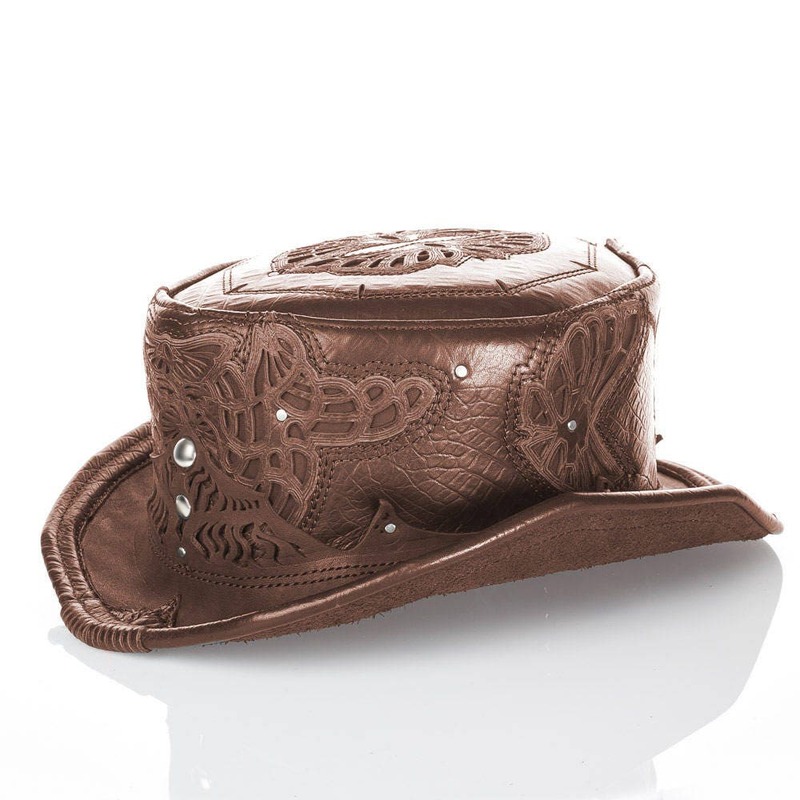 Truly, this hat looks great on most everyone and is one of our best selling hat designs. 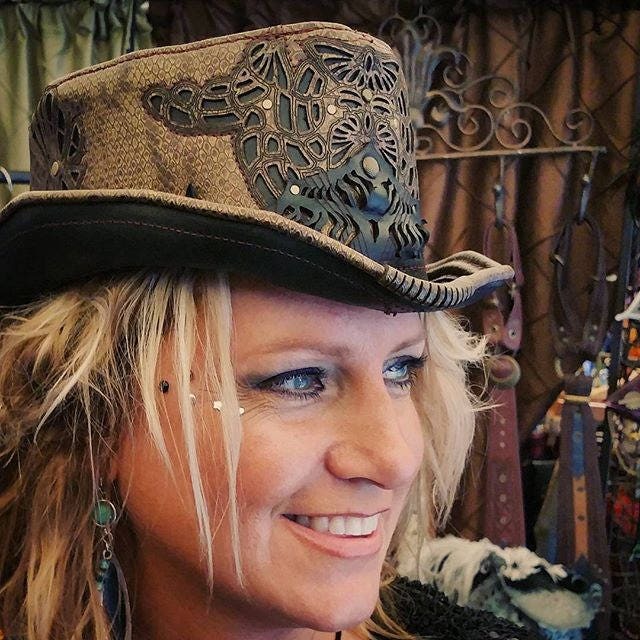 The hat pictured on one of our fabulous customers, is the same style hat with different leathers/embellishments then the hat hat being sold in this listing. 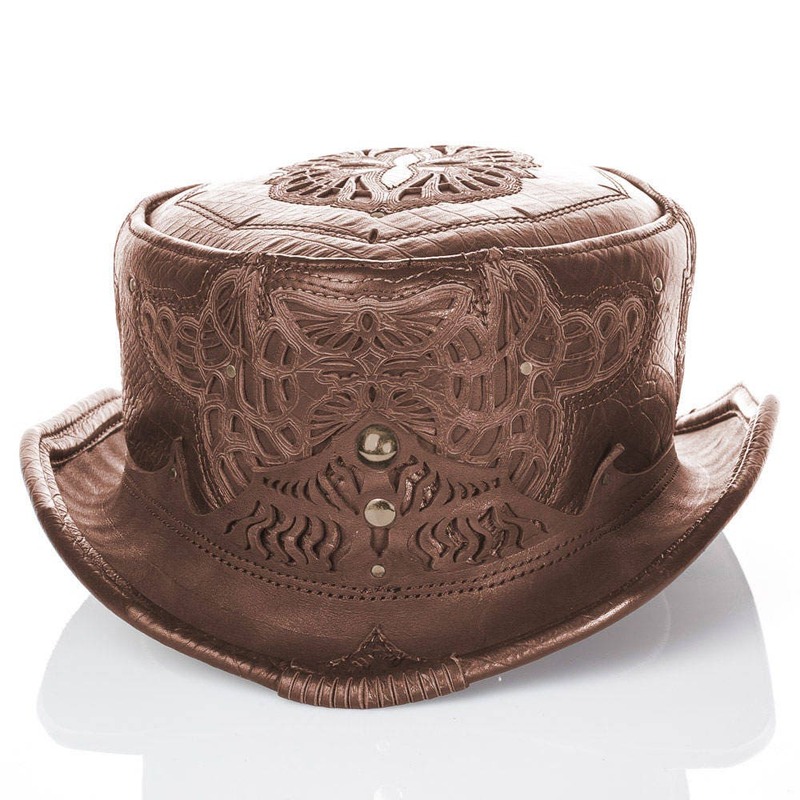 Please see all other pictures to view the Limited Edition Top Hat that is for sale.